Detecting disruptions through the equipment signals does not suffice for an integrated and emplyee-driven improvement process. The equipment control system at most knows the reason for technical disruptions, but not for the logistical disruptions or if the actual cause had already occurred before the disruption arose. This factual cause is however important for the improvement of the Overall Equipment Effectiveness (OEE) and should not be determined after the fact through tedious analyses and further observations. For this reason, Cosmino uses the existing knowledge and the available capacity of the employees on site to determine the cause of the disruption immediately. Consideration of the causes will have already provided the initial ideas and suggestions for improvement by the employees and the resulting reports will show clear potential for improvement. Measures and suggestions for improvements will be created directly in the report and therefore automatically assigned to a key figure and other filter criteria. A seamless linkage between the improvements and the course of key figures can be created in this manner. Lean Management will benefit from the central Cosmino database containing all improvement measures. The measures will be processed using standardized workflows like DMAIC or PDCA. Cosmino AnalyzeHelp supports the determination of solutions using various methods such as Ichikawa or 5W. Meetings run with the support of Cosmino MeetingManager will have direct access to reports and ongoing improvement measures, automatically filtered according to the scope of the meeting, such as time period and production area. Direct access to the agenda as well as minutes from previous meetings is available. Improvement measures created during the meeting will be transferred directly to the work list of the people responsible for their execution. Cosmino AuditManager is available as an auditing feature precisely because the soft factors as well as compliance with the rules and employee motivation are particularly important for a continuous improvement process. Audits (5W, environment, BlindAudits etc.) will be created by the auditor on the basis of the simply created question catalogs. Audits can be triggered based on various events. 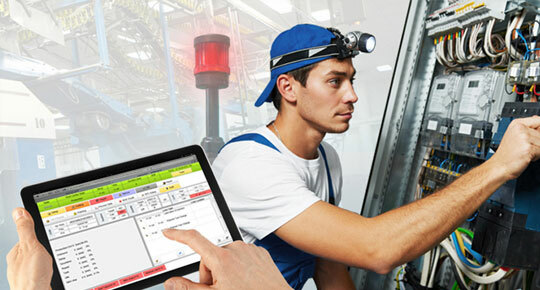 The improvement process receives additional support through the automated initiation of preventive maintenance activities directly at the workstation. The people responsible for the equipment will get the request to perform a maintenance or TPM measure, whose performance must also be confirmed. This will extend the life cycle of the operating means and minimize unscheduled downtimes. We have a range of manufacturing efficiency software (MES) modules that can boost the efficiency and performance of the different areas of your organization. Our suite offers a way for companies to determine, analyze, and handle numerous problems within the organization’s workflow through a centralized system. What makes our modules different from other improvement management systems is that the measures and evaluations of our system are interconnected as closely as possible. With just one click, you can establish an associated action, such as an evaluation or an audit, at any time, and be assured that it is connected with the related key figures or information. Our improvement workflow processes can help you with tasks like audit management, preventive maintenance, and adoption of new methods, among other things. The full Cosmino Suite offers comprehensive solutions that improve your business processes. Get in touch with us now and let’s work together to take your business to the next level. Learn more about Cosmino and how we can help.